We are so excited to introduce Lindsey Driscoll as our February Mom of the Month! Lindsey has been a member of Our Village since February 2016. Lindsey is dedicated to attending Stroller Strides and Stroller Barre classes 3 times a week every week without fail where her adorable son Trevor always warms our hearts with his giggle. Lindsey also shows us her dedication and focus as she began attending Body Back Boost classes recently as well. Always a smiling and friendly face, Lindsey has become a big part of Our Village. We're so happy to have you in Our Village, Lindsey! Congratulations! 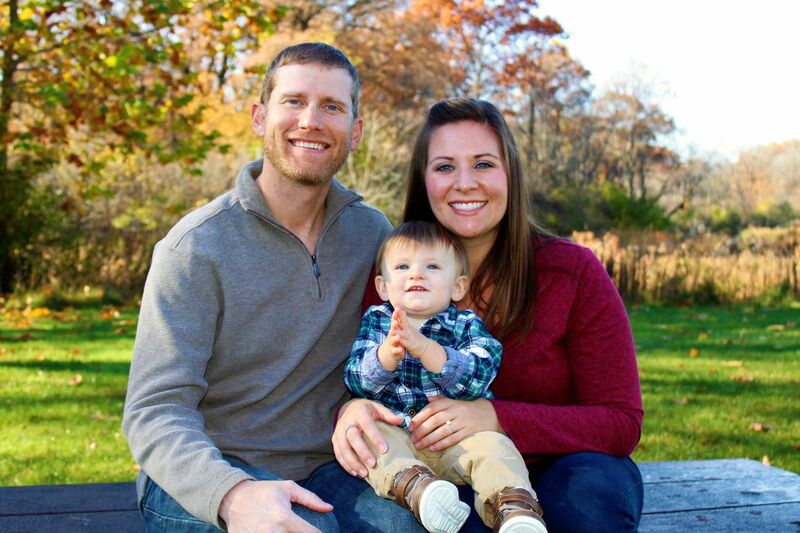 Tell us about who is in your family: Myself, my husband Andy and 15 month old Trevor. Current/Previous career: I am a financial advisor. I love that I am able to work with families to help them reach their financial goals. I am also able to set my own hours which allows me to have a full time career and stay at home part time with Trevor. Childhood ambition? Honestly, it was to be a mom. :) Ever since I can remember I have been babysitting and I always knew that when I grew up I wanted to be a mom and have a big family. Family is so important to me and I am very grateful to be Trevor’s mom. Furthest you have been from home: In 2012 my husband and I traveled to London & Paris. It was an amazing trip and we have been itching to go back ever since! How did you find FIT4MOM? I initially found FIT4MOM when I was searching for prenatal classes. I e-mailed Lesley about 4 times asking various questions but then never actually attending any Fit4Baby classes. After I had my son I again was searching for fitness classes and “liked” FIT4MOM on Facebook. About a day after that Mrs. Sally Belter (who I went to college with) Facebook messaged me and encouraged me to come try a class and could not say enough nice things about Lesley and the whole FIT4MOM village. A few days later I tried a class and I’ve been hooked ever since! Thanks Sally for the encouragement!! How has FIT4MOM changed your life? It has been one of the best things that has ever happened to me. I absolutely love FIT4MOM! It has encouraged me to stay healthy, it is an amazing support system, and I have made some great friends that are going through the same things I am with their little ones. I am so glad to have found FIT4MOM, my life would definitely not be the same without it. Proudest moment: When Trevor said “mama” for the first time. I realized all the love I have poured into this little man and he finally recognizes me as his mom! :) Best words ever! Tell us something about yourself that would surprise us: This is a tough one… I guess it may surprise some of you that I used to be a very shy and introverted person and had difficulties talking to new people. Now I LOVE public speaking and meeting new people!